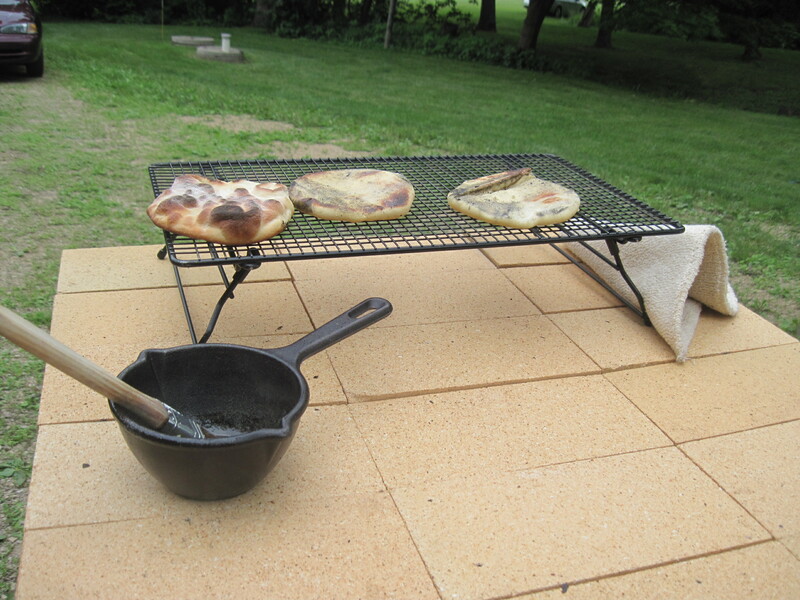 Portable Brick Oven and Earthen Oven Building! 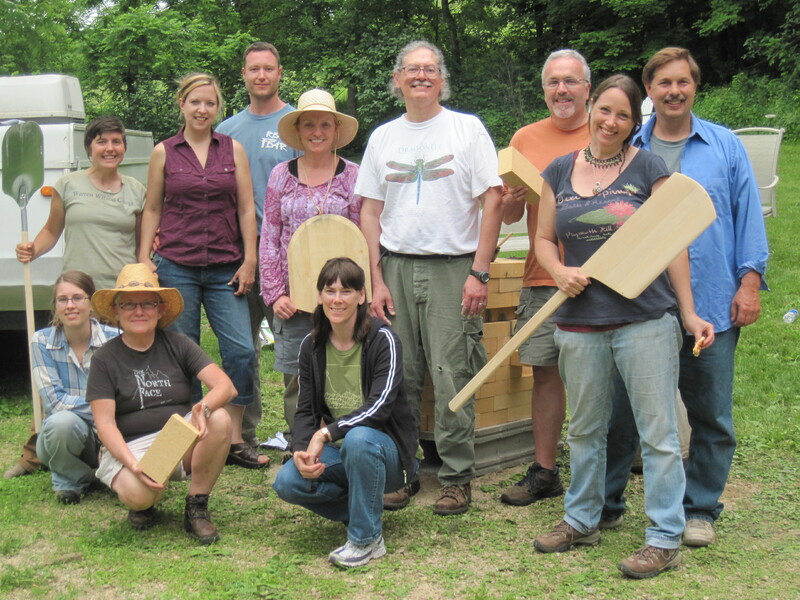 The first class was on Saturday out in Soldier’s Grove at the house of a now good friend of the Folk School. There were about 10 of us in the class with some people coming from several hours away! 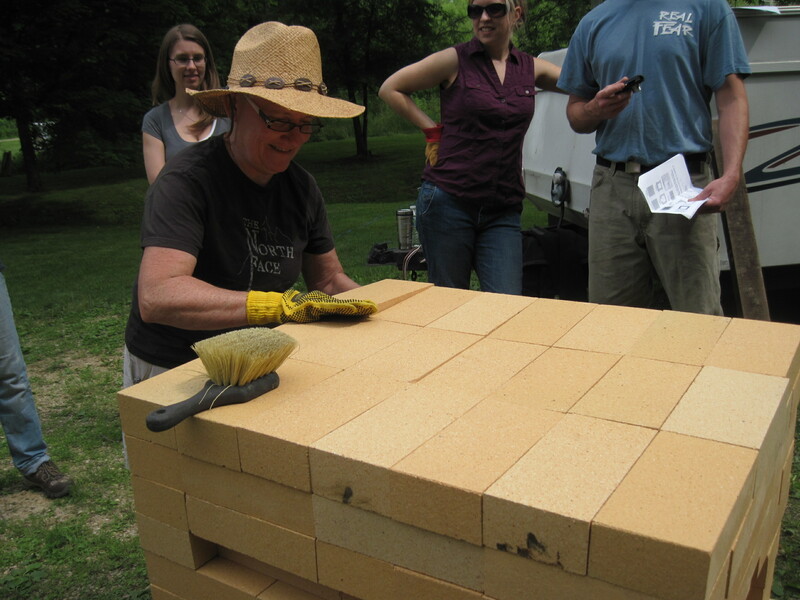 We started with a palette of firebricks, some insulating bricks, cinderblocks, and some leveling sand and in an hour we had a functioning and really attractive brick oven! The teacher asked that I not share pictures of the oven design online so you’ll just have to trust me that it was really neat looking and that the process of building it really didn’t take too long at all. After we built the over we lit a fire and then had a baking class. 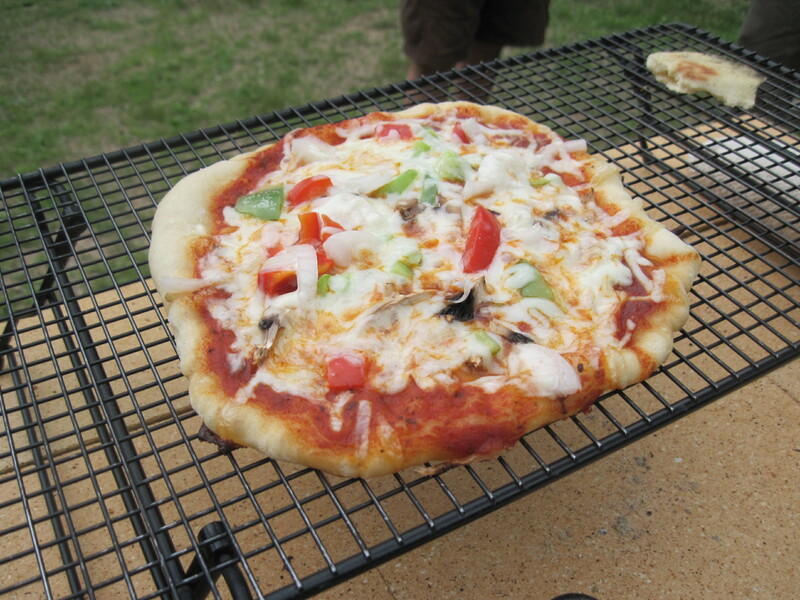 Once the oven was hot enough we pulled the fire out and bake some naan, pitas, and… ::drum roll:: PIZZA! They took no time to bake and were quite delicious. I can imagine it would be amazing having one of these in your backyard where you can light a fire in the afternoon, gather all your veggies from the garden, make some dough, and have pizza for dinner. The question on everyone’s mind—why is it called a portable brick oven—has such a simple answer that it didn’t occur to me. Of course the oven isn’t portable but the bricks certainly are because there is no mortar involved so it can be relocated, rebuilt, and redesigned to the owners delight! 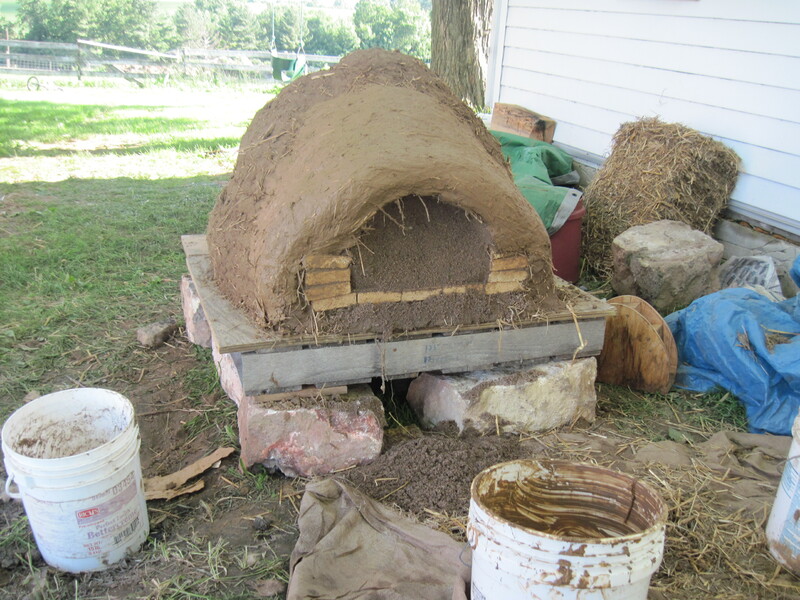 The earthen oven class, in my opinion, was a lot more fun because we got super dirty and used mostly natural and local materials. Because it is such a popular class it filled on Sunday and another section was opened on Monday so that all the work/studys (and our new friend Randy!) could take the class as well. Class was held at the farm where two of the work/studys are living which is nice because it is a cool way of giving back to the community that supports us because they’ll have the oven for years to come. It’s not totally free for them but it sure beats using the woodstove inside to bake on a hot summer day so it’s definitely worth it! 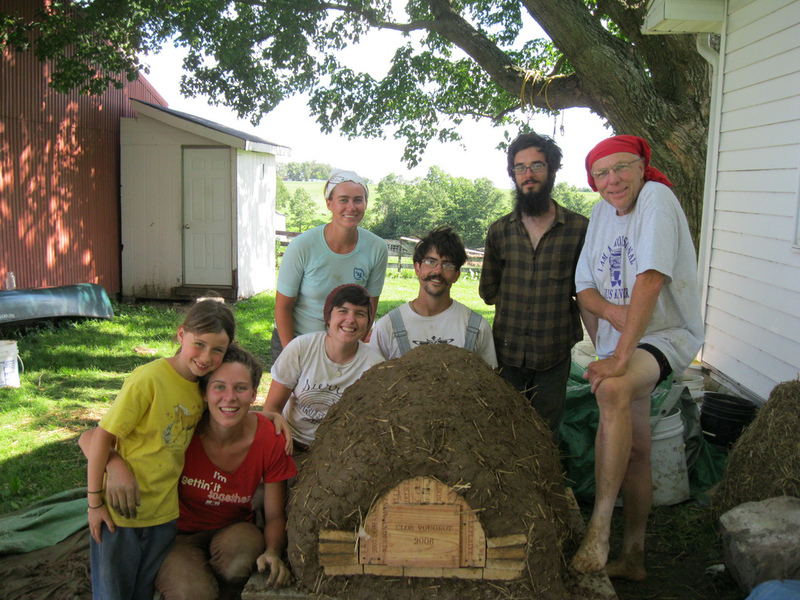 To make an earthen oven all you need is clay, straw, sand, some fire bricks, water, tarps, and nice level (preferable raised) place to put it. The bricks are really the only thing that cost money and I’m sure there are ways of getting around that! I won’t explain the whole process because I wouldn’t be able to do it any justice but I highly recommend building an earthen ANYTHING someday. It’s really fun to mix the materials with your feet and it’s definitely a great activity to do with kids. I dream of using natural building materials to build my house in the future and the folk school is making that dream feel more and more attainable.